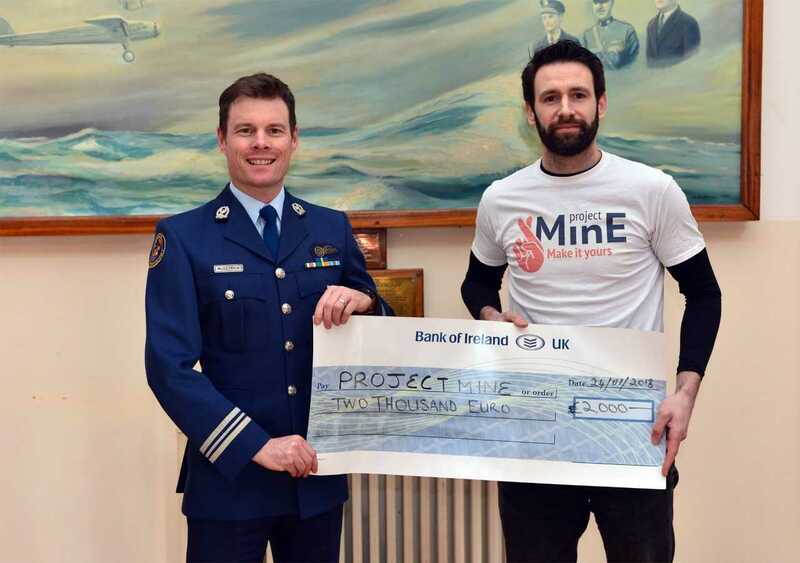 Commandant Bryan McGetrick of the Irish Air Corps presents Mark Heverin (Project MinE Ireland) with a cheque for €2,000. This was raised at the 2017 Air Corps Charity Golf Classic in Dublin. A huge thank you to Retd Col John Hughes for organising this for Project MinE for the third year in a row. Many thanks for this donation! Project MinE aims to discover the genetic causes of Motor Neurone Disease. Ireland is an important collaborator in this worlwide research. Take a look on the web page of Project MinE Ireland.